While reminiscing of my summer, I suddenly felt a great urge of making something that took me back to the flavors of warm, sunny weather. I remember eating a mini key lime tart in Orlando, and so I went ahead and tried to recreate it. 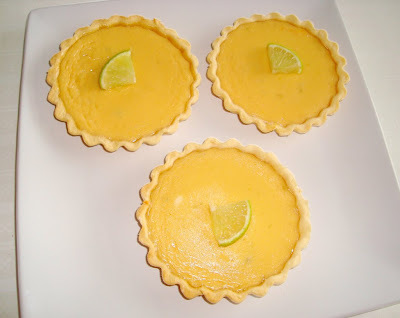 I used my four little tart pans and found an easy recipe on AllRecips.com. 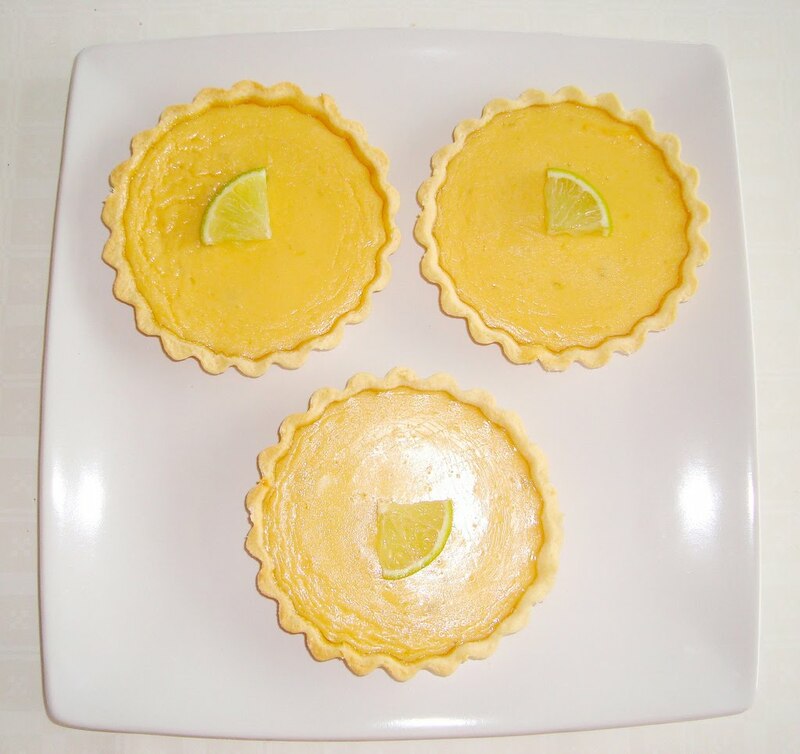 Key lime tarts or pies are always made out of key limes, egg yolks and sweetened condensed milk, and I just discovered that the key lime pie is the Florida state pie… how cool is that?! (since key limes are from the Florida keys, see… you learn something new everyday!) Anyways, now about the flavor; pretty good, although it tasted almost exactly like Pierre Hermé’s lemon tarts, and those were a bit better. Looking back, I should have added a meringue topping so that something would have tasted different. Rating: 3 out of 5. - In a medium bowl, blend together condensed milk, lime juice and zest. Mix in egg yolks and whole egg. 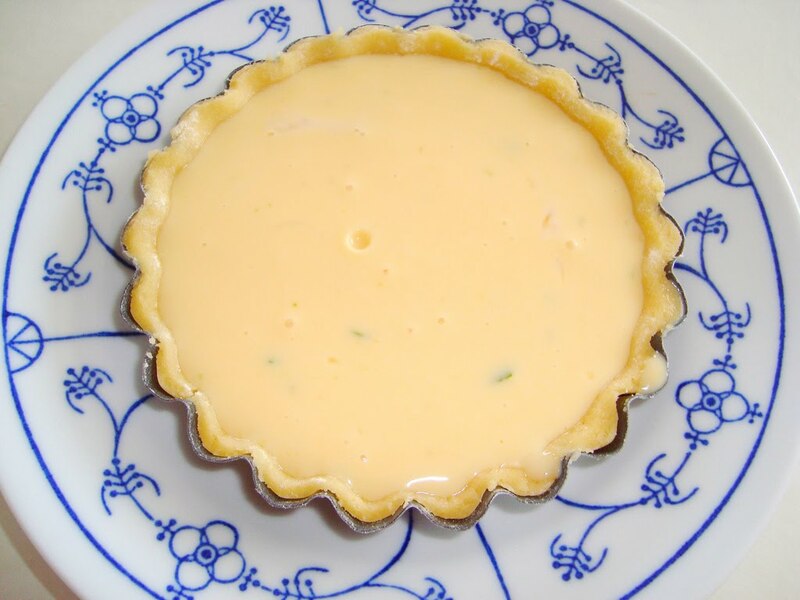 Pour mixture into pie or tart crust, then cover and refrigerate for 1 hour. - Bake in preheated oven for 15 minutes. Chill before serving. - In the bowl of an electric mixer fitted with the paddle attachment, combine butter and confectioners’ sugar. Mix on low speed until combined, about 2 minutes. - Add egg yolks, and mix until incorporated, about 1 minute, scraping down the sides of the bowl as necessary. Add ¾ cup flour, and mix on low speed just until the flour is incorporated, about 30 seconds. Add remaining ¾ cup flour along with the salt and cream, and mix just until flour is no longer visible, about 1 minute. - Turn out dough onto a piece of plastic wrap, and shape into a flattened disk. Refrigerate for at least 2 hours of overnight. The dough can be frozen up to 1 month; thaw overnight in the refrigerator before using. - On a lightly floured surface, roll out dough to an ½ inch thickness. With a sharp paring knife, cut out rounds of dough using a tartlet pan as a guide, leaving a ½ inch border around the edge. Fit the dough into tartlet pans, and lightly prick the bottom of the dough in each pan all over with a fork. Refrigerate tartlet shells until chilled, about 30 minutes. - Preheat the oven to 350°F. When tartlets are chilled, bake for 8 to 10 minutes. Pour lime mixture in tartlets, and refrigerate for 1 hour. Then, bake in preheated oven for 15 minutes. 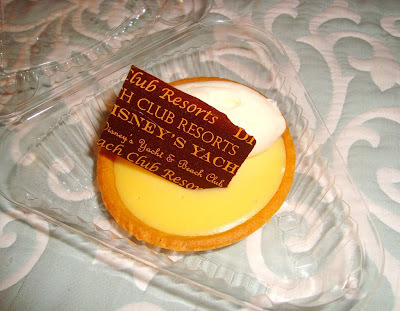 The mini key lime tart I had last summer in Orlando, Florida. Wickedly yummy! Baked! It is so strange that they taste exactly like Pierre Hermé’s lemon tarts, and yet they are made in completely different ways! Next time I'm going to add some green food coloring, I think that looks extra yummy. These look awesome and I bet they'd taste even better with the meringue. Man, if they taste so similar to the Herme tarts without the buttload of butter, I think I'd stick to this. I do want to be a dietitian eventually, after all 8). True, but I believe a can of sweetened condensed milk has 1820 calories!! They're both bad for a diet :P! Gets 5/5 for me anyway, looks too yum! I would love to try key lime pie one day - it isn't a done thing here in Aus. LOL, generally anything that tastes over the top good is not healthy for you. When you visited FL this summer you were in my neck of the woods. I live about 45 minutes from Mickey. i love lime tarts! i mek them quite often!